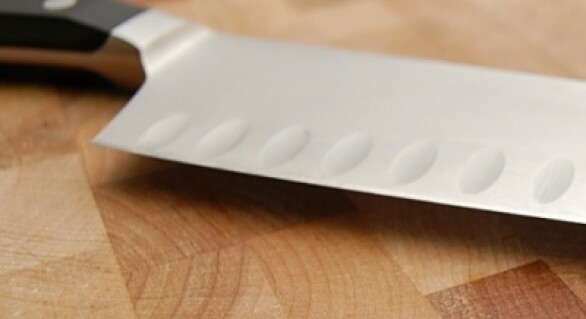 5 Simple Knife Safety Tips for the Kitchen | It's not your tech, it's how you use it. And we’re back! I won’t say I’m settled in to the new digs yet, there’s a lot of unpacking left to do, but I will say this: I’m much happier where I am. Now then, that’s not what you’re here for though – so let’s get on with it! One of the things you do learn when unpacking and putting a kitchen back together though is how you should go about handling sharp objects. Sure, sure, there’s the whole process of organizing a kitchen, and while I think that’s a great topic, it’s definitely one that’s worth its own post. 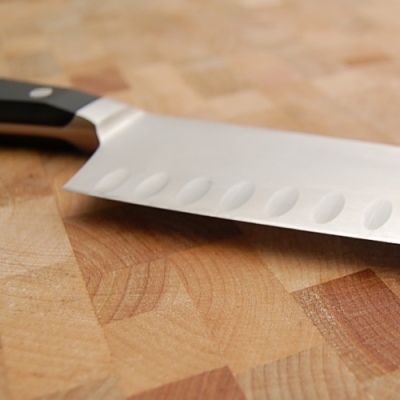 Right now though, I want to talk about how you can make sure you can handle kitchen knives in a common-sense and logical way. Check out a great video behind the jump with five very simple tips to remember when handling a knife in the kitchen, especially if someone else is around. Thankfully no one was harmed in the assembly of the kitchen I proudly use to cook ramen for lunch. Still, even if you’re unpacking your kitchen all alone, you should exercise caution when handling blades. That goes twice or four times (or we can get exponential up in here) if there are other people in the vicinity helping you unpack or just keeping you company. An old scouting trick that I just happen to remember goes Moncler outlet like this: when you hand someone else a knife, you definitely pass it to them with the handle towards them. When they grasp the handle, they say “thank you” to indicate to you that they have a firm grip. Only then do you say “you’re welcome” and let go of the blade. That way the other person gives you a clear signal that they have a hold of the knife, and you give them a clear signal that you’re letting go – the receiver doesn’t pull too soon, slicing open the hand of the giver, and the giver doesn’t let go too quickly, letting the knife clatter to the floor. Plus, you’re being super polite! Give it a try sometime, kids. And make note of Jeffrey Elliot’s tips above too – that could save you or a loved one from serious injury.